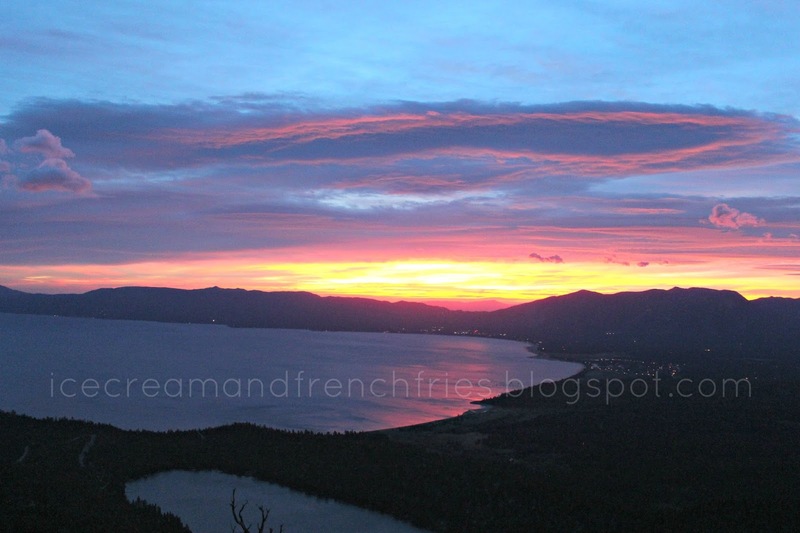 My year round playground is Lake Tahoe -- don't be jealous. Whether Spring, Summer, Winter or Fall Lake Tahoe offers visitors and residents an endless supply of adventure. As we head into what local's call the 'shoulder' season the trails and beaches are wide open and calling our name. While Fall is my husband's favorite time to hike I don't necessarily have a favorite hiking season, but I do have some favorite hikes! I'm not kidding, but I hike Echo Lakes EVERY year -- Just ask the hubby. Since you're starting at higher elevation it's mostly flat, but offers hiker some mileage and great views. It's a great hike to take visitors on. 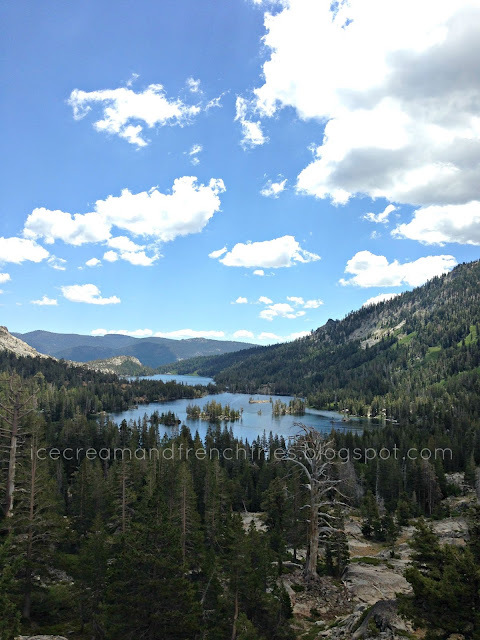 You're basically hiking along Echo Lakes the entire time, but you don't have to stop there. Make you hike longer or a little harder and continue on to Aloha Lake or summit Flagpole Peak. This hike gets the award for best views. Don't you agree?! However, it's not meant for beginners. What starts out as a slow and steady climb turns into super exposed steep switchbacks with a rock scramble at the top. Make sure to pack: lots of water, extra layers, lunch/snacks and sunscreen. 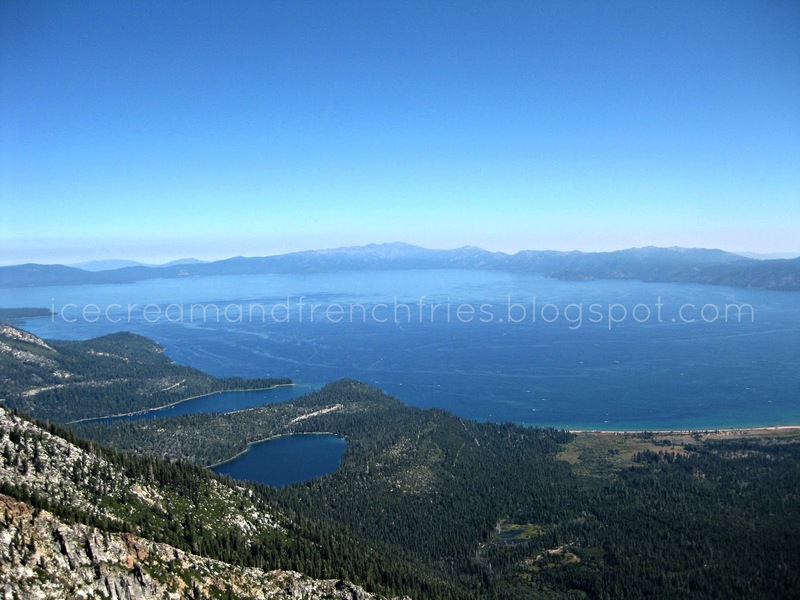 I suggest hiking Mount Tallac in the Fall and starting early. Don't let the 9.5 mile roundtrip hike fool you -- it's worth it in the end. Maybe it made the list because I just hiked it or maybe it's the amazing views. At only 3 miles roundtrip it's a short and steep hiking offers amazing views. For an even better experience try hiking at SUNRISE! Yup, the early bird gets the worm. Another hike we do annually, but with a different destination in mind. 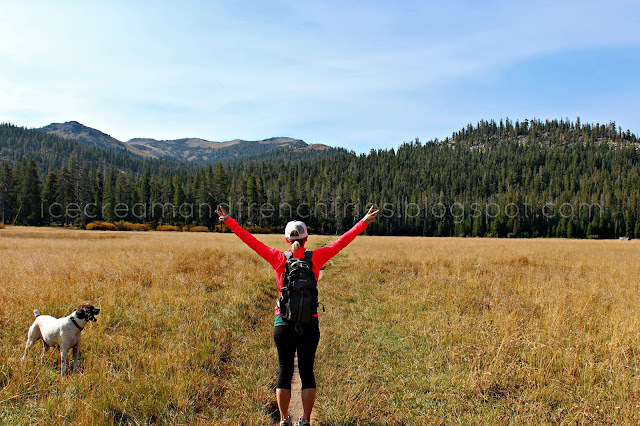 Big Meadow isn't necessarily the stopping point, but a way to reach Dardanelles Lake, Round Lake or a number of other Alpine Lakes. It's mostly flat with short climbs here and there. It's a fun quick day hike. Technically, I haven't hiked the entire Tahoe Rim Tahoe which is a 165 mile loop around Lake Tahoe. 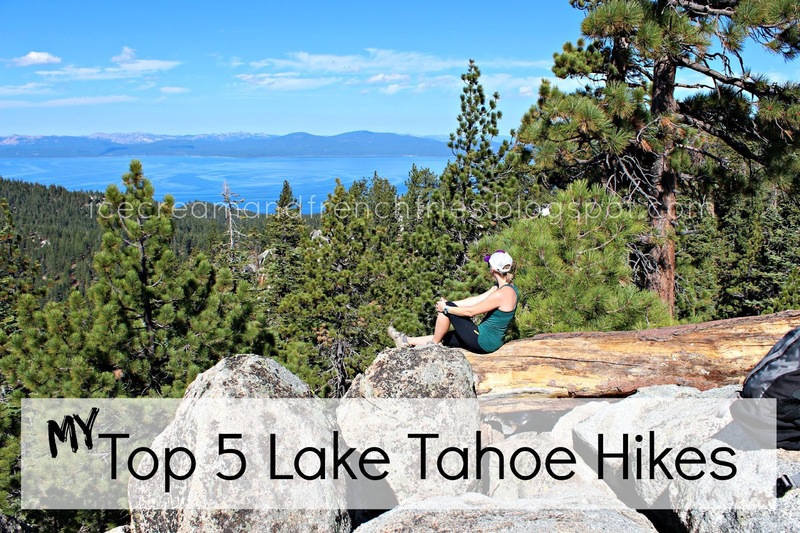 Their are a number of trailheads to start from and most hikers break it up into numerous day hikes verse hiking, camping and hiking some more. The TRT is great when you're looking to get some milage in because you can hike portions of the trail that are relatively flat. The TRT can offer some killer views too. This was along the TRT leaving from the Spooner Summit trailhead. 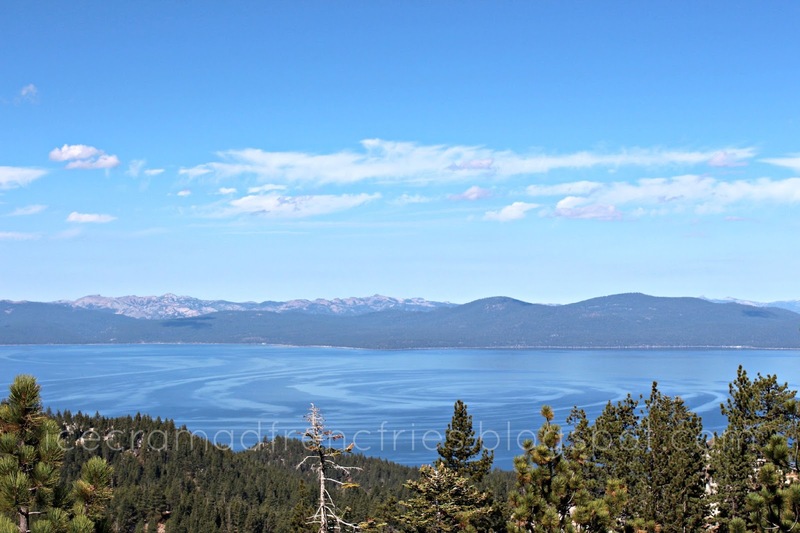 Do you consider Lake Tahoe your playground? What's you next adventure? I AM SO JEALOUS!!!!!!!!!! Lake Tahoe is one of my favorite places in the world and I would l LOVE to live close!!! Your pictures are amazing! Sounds like it's time to move :) Thanks it's hard to take a bad picture of Tahoe. Mt. Tallac always has snow in the "cross". It has been an old myth forever that the snow never melts from it. Growing up in Lake Tahoe this was one of our favorite sites. Lake Tahoe will always be home and a wonderful playground for us. I have not done a few of these! I would love to get out for a hike with you when I get back into town! Fitness, Food & A Giveaway! Safe Sleeping Tips + HALO SleepSack Giveaway!